Paul McClure’s ‘difficult second album’ is now here and any fears of it not meeting widespread approval have been consigned to the trash bin. SONGS FOR ANYONE is the worthy follow up to his debut 2014 release and further proof of his engaging nature as an alluring songwriter. From a position as the troubadour counter balance of the Clubhouse Records roster, twelve adaptive tracks have been recorded in a fluid format to switch effortlessly between the finely produced studio version and the stripped back entity to accompany Paul on the road. 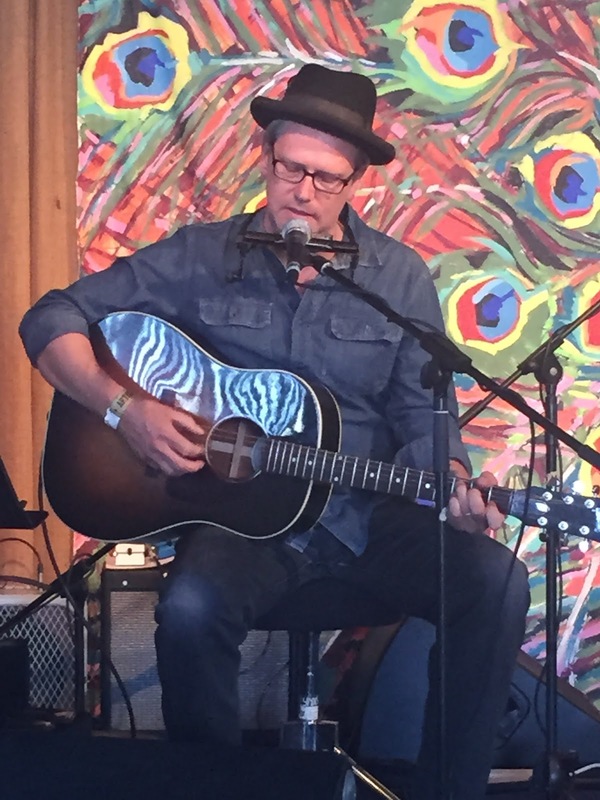 It is perhaps the road which has defined Paul McClure over the last couple of years and the innovative way that he has been prepared to reach out to music listeners. Suggest to Paul to find a venue in your area and he will enthusiastically proclaim the value of the house concert. With his old moniker ‘Rutland Troubadour’ being formalised into a trademark, perhaps now is the time to re-brand him the ‘Living Room Troubadour'. Of course the first port of call for many fans will be acquiring his music and the new album explicitly represents a grounded singer-songwriter often finding inspiration in the most mundane of everyday situations. Ray Davies was a great purveyor of ‘kitchen sink’ songs and ‘Unremarkable Me’ hits a similar mark with its stark observations. Inevitably a personal approach to love controls the steering wheel of the album’s content and no finer line exists in the record than ‘Paris got no romance without your kiss’ from this standout track. Two other tracks staking an early claim to be first among equals are ‘I Could Be a Happy Man’ with its wonderful explicit imagery of ‘drinking beer and listening to long playing records’ and the tender number ‘Every Day is Mine to Spend’. The Clubhouse contingent have rallied round to assist in the making of this record with Joe Bennett sharing his musical expertise in the production role and Hannah Elton-Wall adding a delicate touch with her exquisite vocal harmony. Two instrumental inclusions enhance the album’s home listening appeal with some horns being added to the up tempo and slightly aggressive number ‘My Big Head Hat of Dreams’, along with a faint organ sound adorning the slightly modified title track ‘A Song for Anyone’ giving it a warm feel. The ubiquitous presence of Paul’s road tools, namely harmonica and guitar, are in plenty supply with the former giving ‘Holding a Ten Ton Load’ a Beatles-ish opening. Maybe it’s unfair to refer to Lennon, McCartney, Davies, Springsteen, Young, Dylan et al, but you can detect Paul McClure’s influences and fans of these icons will find merit in his work. The sum of this record is a meaty effort with the running time hitting fifty minutes as the strains meander between laid back West Coast vibes and the grittiness of urban England. Paul is an unpretentious, refreshingly honest songwriter and engaging with his work is quite a straightforward act of artist-audience interaction. While listening repeatedly to the record is far from an ordeal, the ultimate song connectivity will come from a live show where the true background stories and inspiration will no doubt be revealed. There will be countless opportunities to catch Paul McClure live in 2016, just check out the usual sources and the ever informative world of social media. The good news is that his debut album SMILING FROM THE FLOOR UP now has a buddy on the merchandise table in the form of SONGS FOR ANYONE. 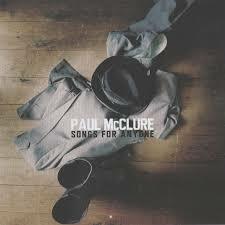 This will continue to present Paul McClure as an artist worth listening to in whatever setting you choose. If the 'difficult second album' syndrome did exist, it has evaporated into thin air upon release.